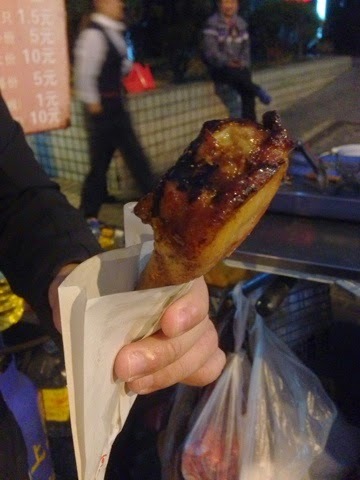 I stumbled upon a street food vendor who sell BBQ chicken and duck thighs in Shanghai. 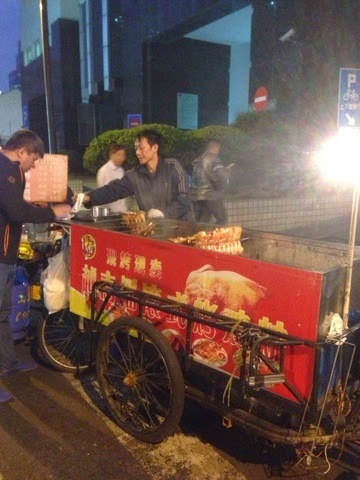 The push cart was very simple but yet the aroma was alluring. I ordered a piece of BBQ chicken. It looked very simple.